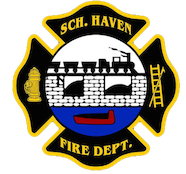 April 17, 2009- At 12:56 the Schuylkill Haven RIT was sent to 307 West Market Street, Pottsville City, to assist Pottsville Fire on a working apartment building fire. Engine 737 and Squad 739 with 9 personnel repsonded to the scene. After both rigs arrived on scene, the fire was marked under control by Pottsville command and all Schuylkill Haven RIT members were released back to the boro. Total time out was 25 minutes.